Simple & fun gameplay?!? CHECK!!! It’s JiPPO! Street, the latest game from JiPPO! 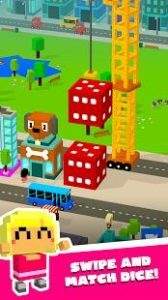 Just swipe and match falling dice to create new buildings for the funny JiPPO! characters! It’s a mix of dice, match-3 and town building games! Rotate and match dice to build pizza places, horse stables, animoji karaoke clubs, pet stores and more in this endless arcade game. Play with just one hand while waiting for your coffee, during boring meetings or while eating a hamburger! Something old, something new! JiPPO! Street visual style is a blend of modern blocky graphics and retro 8-bit colour palette. Handcrafted block by block for you to enjoy! Enter the photo mode and visit the street you just created. 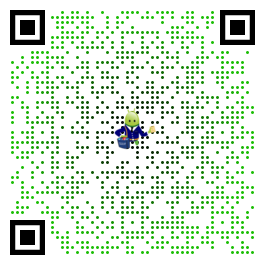 Move around, zoom in, then snap a photo and share it with your friends. Emoji talking JiPPO! characters are always hanging around the city so funny photo moments are guaranteed! Start in small town, then unlock new locations such as a tropical beach, animal-filled farm or a busy big city with hot dog carts. Each theme comes with own buildings and theme music. Visit and build in them all! Welcome to the world of JiPPO! JiPPO! Street is made by Kiemura, a husband-wife team from Finland. Check out also our other games Piranh.io and Hovercrash!